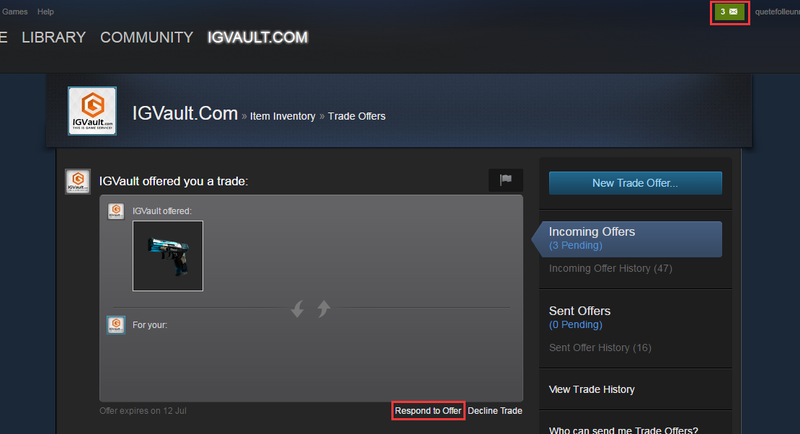 Step 1：Click "CS:GO Trade" Button，Enter CS:GO Page， the CS:GO Items and add them into Shopping Cart. 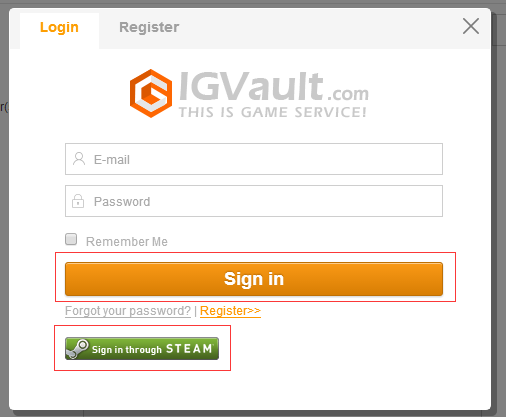 Step 2：Sign in with your IGVault Account/Steam Account. 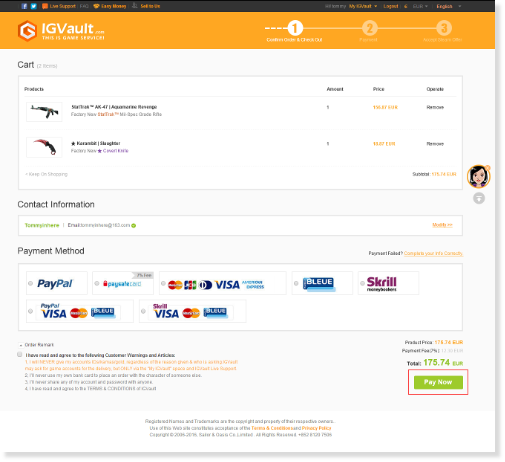 Step 3：Please confirm your Order Info and Contact Info，then choose your Payment method and click "Pay now". 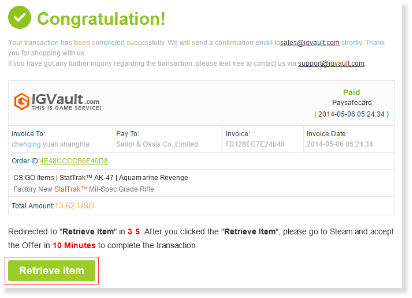 Step 4：This Page will redirect to "Retrieve Item" Page in 3 seconds。Click the item you want，then click“retrieve Item”button to reply offer. 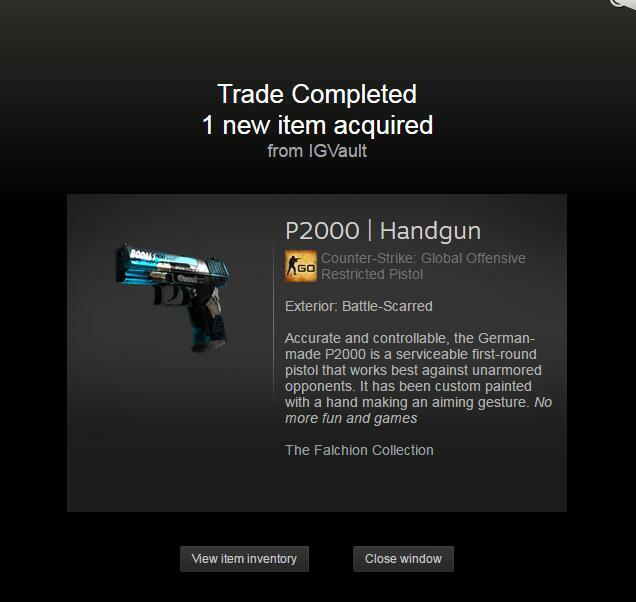 Step 5：You will see your Trade offer in Steam(Client/website,http://steamcommunity.com)，Accept the Offer and your Item. 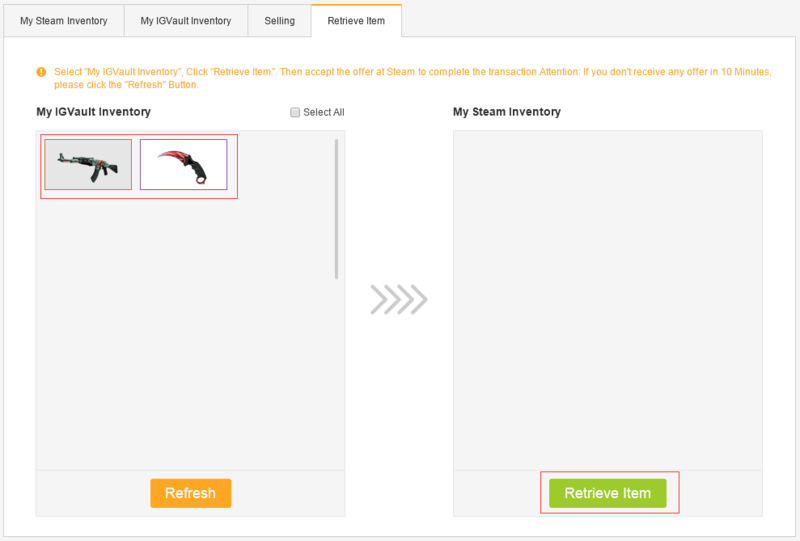 Then Item will send to your Steam Inventory and your purchase is complete. If you have any further problems，Please contact our Live Chat.